Safety is our Priority | Steel Supply, L.P.
Safety is always a top priority here at Steel Supply, L.P. Workplace hazards abound when moving, sawing, loading and unloading structural steel. Through the diligence of our staff and their commitment to each other and our customers, we're constantly improving our standards and practices to make our warehouses safe and efficient. 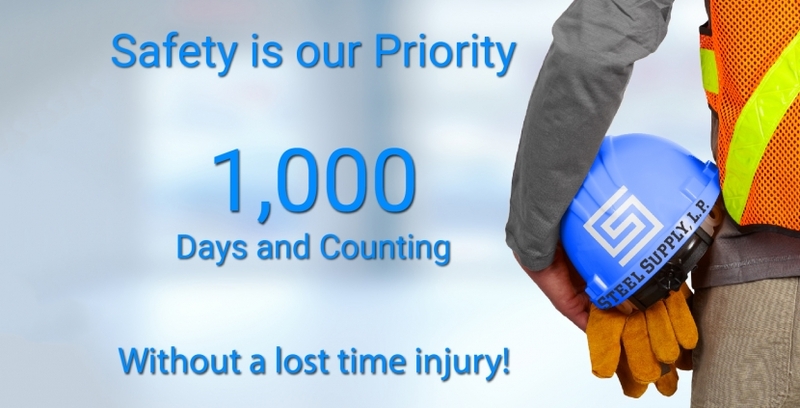 We're excited to celebrate 1,000 days (and counting) without time lost to an injury.